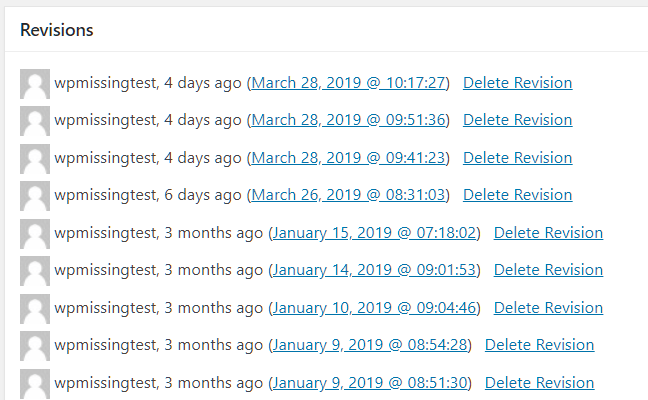 A lightweight and easy-to-use WordPress plugin to clean up the database and improve the site performance. 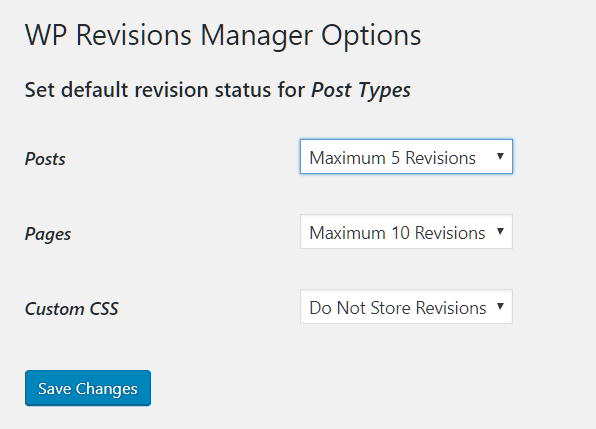 The WordPress revisions manager allows admins to quickly purge post/page/custom post type revisions from website’s database via AJAX. You can also use this plugin to limit the maximum number of revisions and entirely disable the revisions on your website. 1. 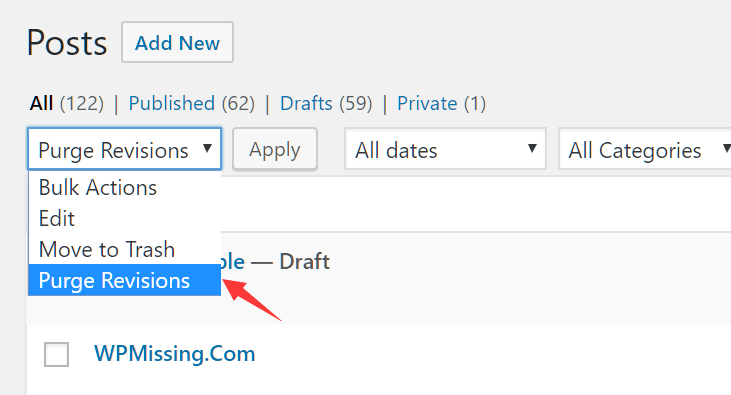 Download the plugin and upload the zip file to the WordPress on the admin panel. 2. Install and activate the plugin. 4. Bulk purge post/page/custom post type on the list page. 5. 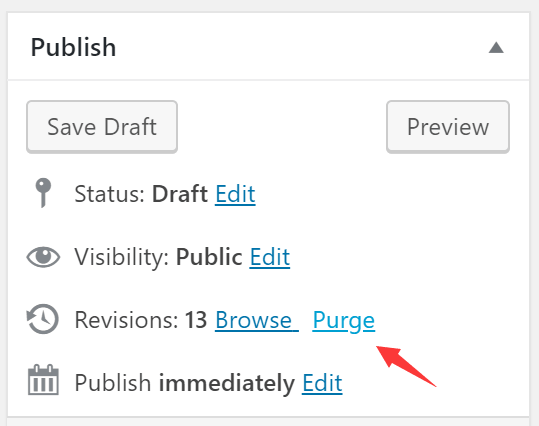 Purge a specific post/page/custom post type’s revisions in the editing page.